come to symbolize the most profound physical journey of change leading to the inescapable transformation of form and consciousness. 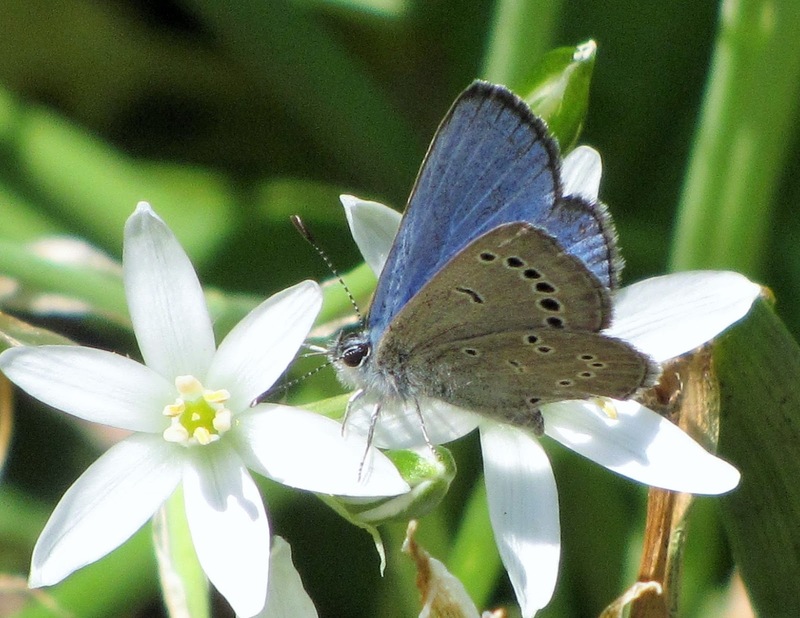 After lamenting the decrease of bird diversity last year at Blue Maples, I noticed that there were an abundance of butterflies and moths in the gardens. Realizing how little I knew about them, I embarked on a project to identify as many as I could. I am not an expert by any means. In fact, I was once lightly chastised for posting a moth to the Butterfly Gallery on Google+. So if I got a few wrong, chalk it up to the subtle nuances of species identification. 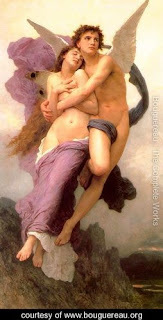 ‘Psyche’, the Greek word for soul. In art, Psyche is often depicted with butterfly wings. Winged references also abound in Literature. To the poet Robert Frost, butterflies were ‘flowers that fly and all but sing’. Victor Hugo saw them as harbingers of tragedy transformed and were, ‘torn love-letters that through the sky, flutter and float and change to butterflies". 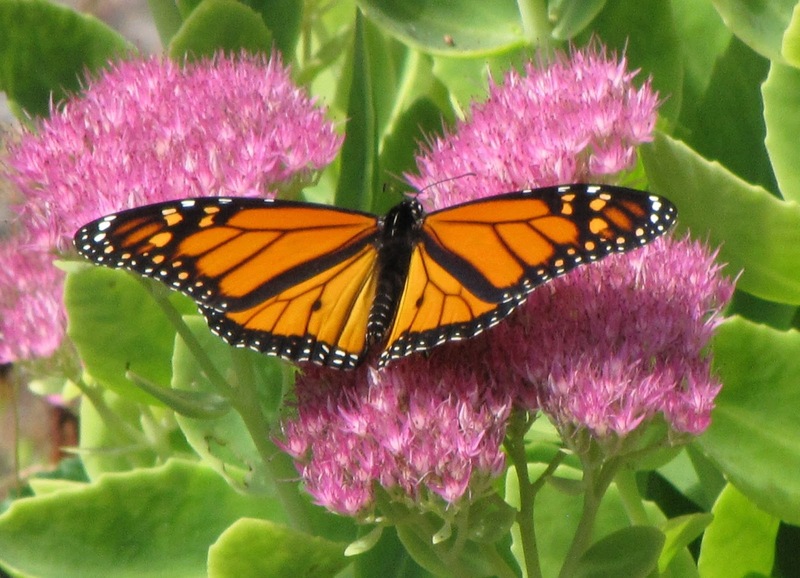 Cross-cultural references to butterflies exist around the world. 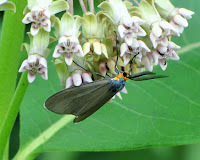 To the Blackfoot Indian, the butterfly were carriers of dreams innate with news relayed to us when we fall asleep. 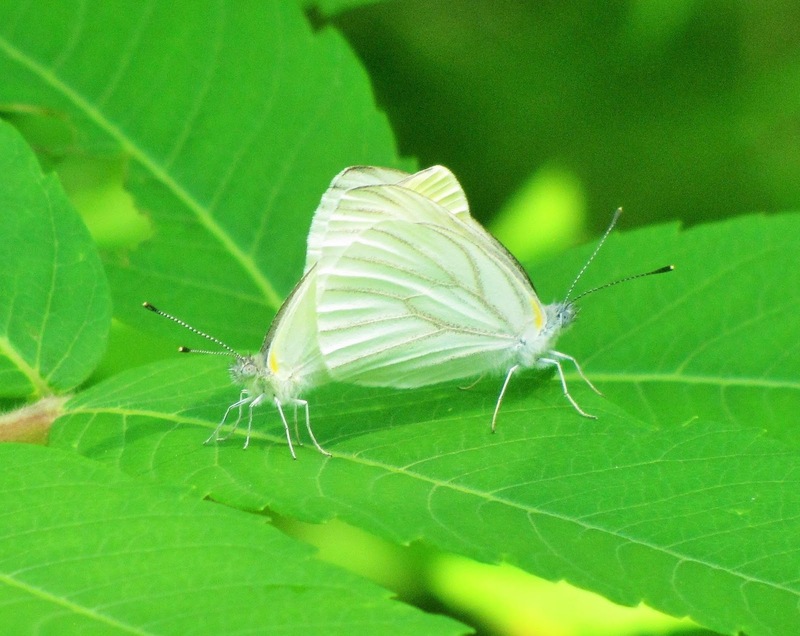 In China, butterflies were used as symbols of conjugal bliss and joy. Psychoanalysis also regards the butterfly as a symbol of rebirth. For some, butterflies were not always considered the messengers of good fortune. In the Old World, butterflies sometimes had more negative connotations and thought to be spirits of the dead. 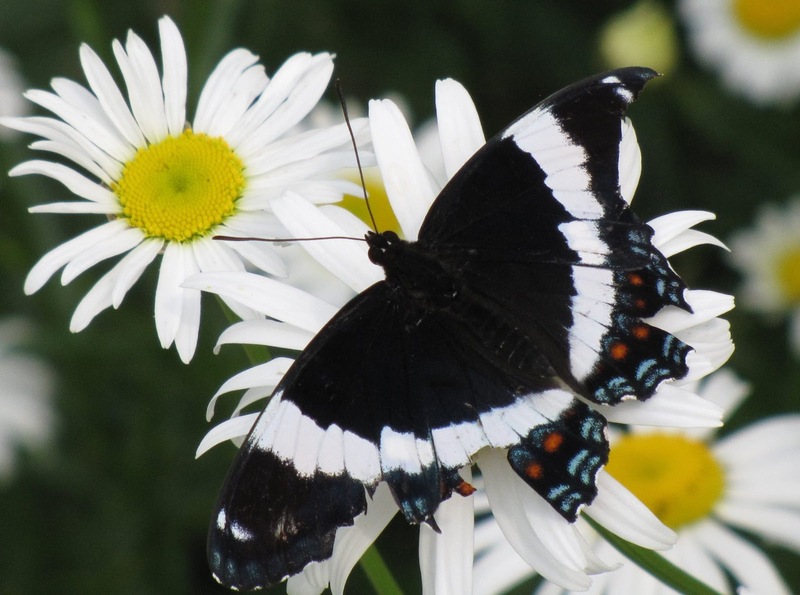 Sailors believed that if they saw a butterfly prior to embarkation, they would die at sea. In Gnostic art, the Angel of Death is depicted crushing a butterfly underfoot - for the butterfly’s attraction to flame and light symbolized purification by fire. 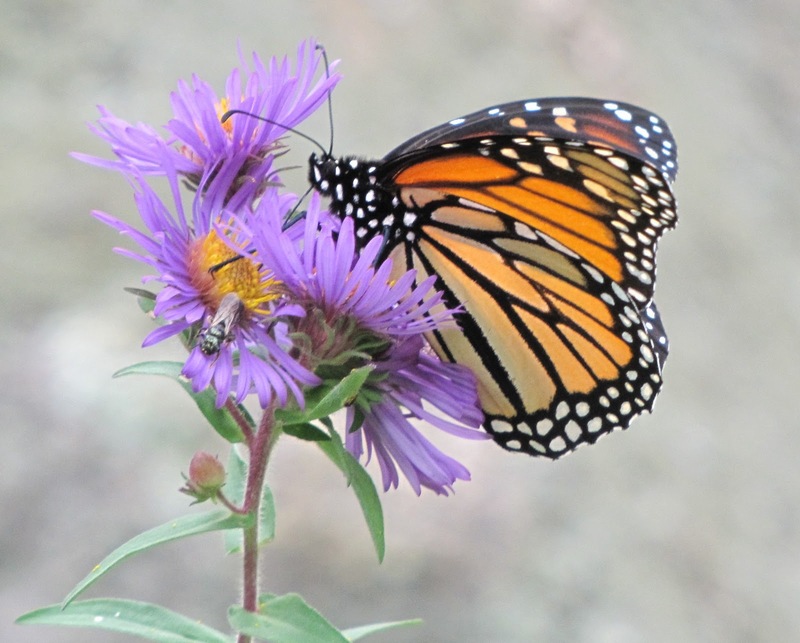 Today, scientists study butterflies as key indicator species to tell us about the health of our planetary ecosystems. Environmentalist Mary Colwell, author of the book: John Muir – the Scotsman Who Saved America’s Wild Places, wrote that butterflies are one of the world’s greatest pollinators, along with bees and a host of other insects. 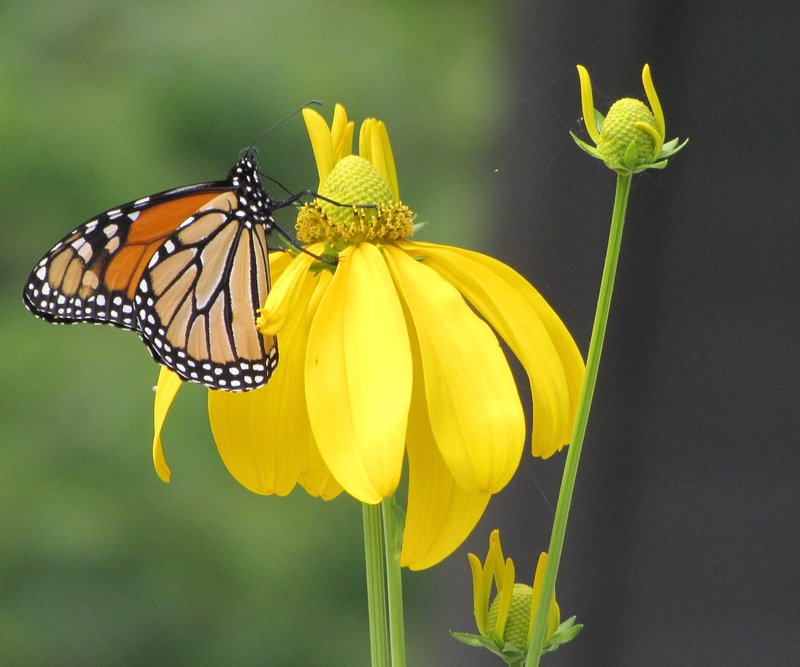 Butterflies are so sensitive that just the addition of a chemical to the air, or pollution in the water, or loss of habitat can dramatically affect entire populations. Did you know that butterflies must be warm to fly? They need body temperatures close to ours for proper flight. That is why we often see them basking in the sunlight with open wings and angling their bodies toward the sun to increase their body temperature prior to take-off. 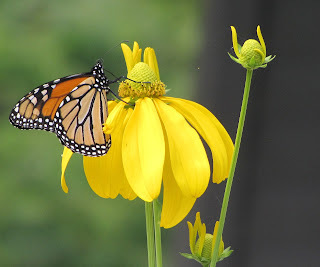 Once they are up and fluttering, their flight muscles provide enough heat to keep them going. bodies and wings to aid in capturing solar heat. This Mourning Cloak (nymphalis antiopa) named for resembling a traditional cloak worn "in mourning" is an early Spring visitor. The rich maroon colour of the upper surface of its wings glisten in the sun. 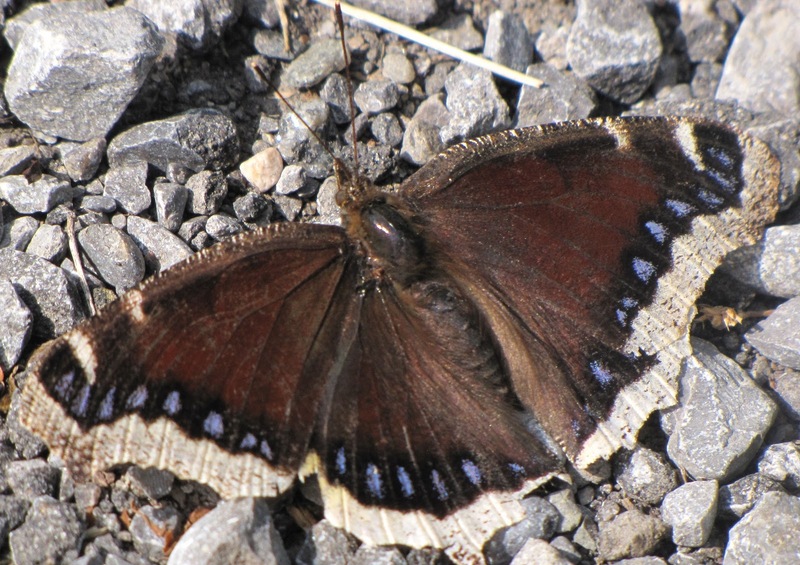 To me the Mourning Cloak looks like a delicious chocolate butterfly! fringe. This species will often ‘mud puddle’ - drink up minerals from damp ground. It also has a symbiotic relationship with ants. Larva are attended to by ants, which protect them from flies and wasps. The larva secretes a drop of liquid high in sugars and amino acids that the ants then collect. about. 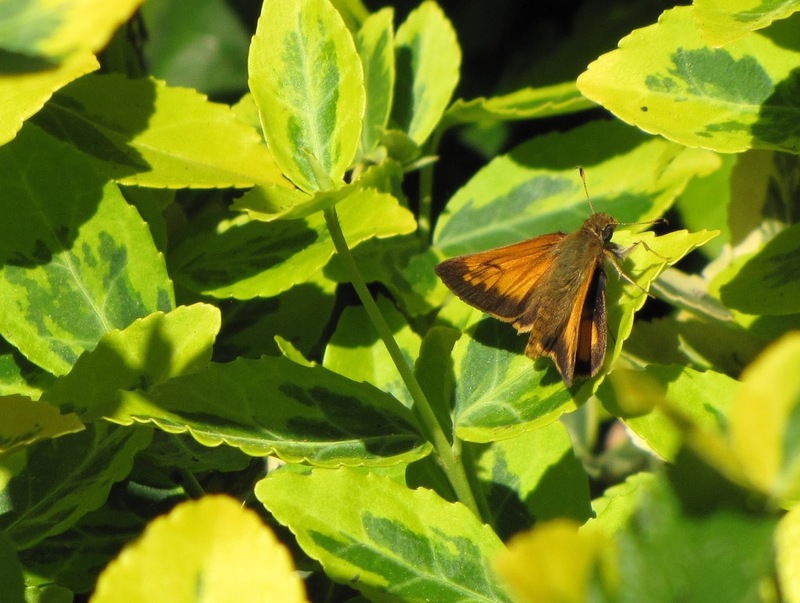 This skipper is found in virtually every kind of open habitat, including woodland clearings. are most often seen. Its cousin, the Red Admiral with bright fire-colours on black wings slashed with crimson - inspired images of an inferno hell to the ancients. trial, beseeched his fellow citizens to do right by their country. 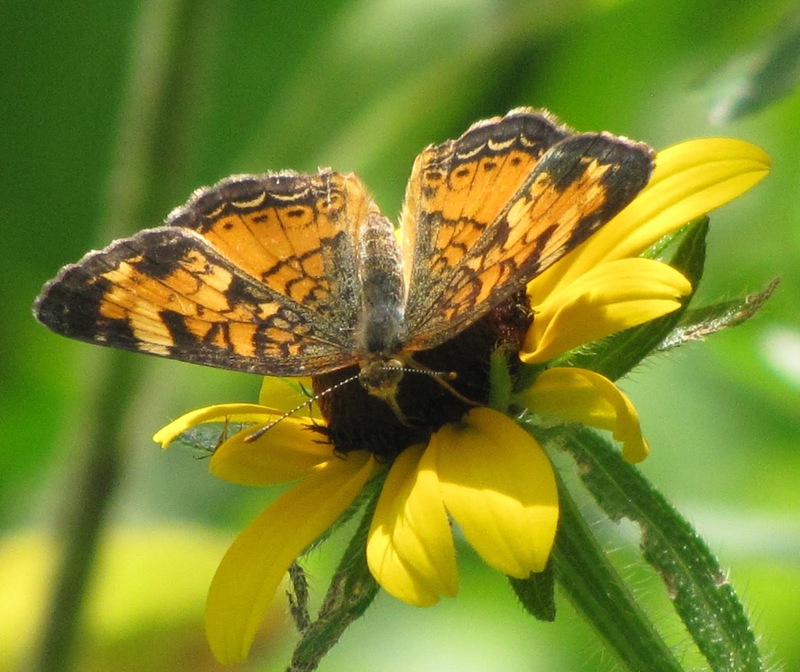 rounded wings has two dark eye-spots on each wing, and has a tiny third spot on the hind wing. The spots contain two tiny metallic grey pupils. I could see these metallic eye spots reflecting in the sun. 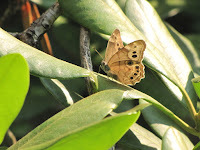 It took some time to distinguish the Eastern Comma (polygonia comma) from the Question Mark. 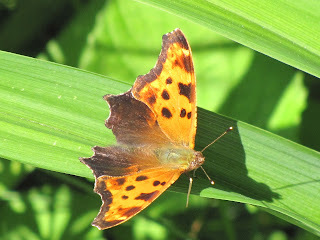 The Eastern Comma has three distinctive aligned dots on its upper wing. the last one on the underside has a double pupil. 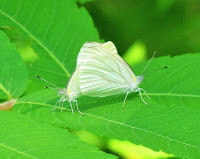 Unlike most other butterfly species that prefer clearings and woods edges, this butterfly is one of the few truly shade-loving butterflies in Canada and is found in deciduous or mixed wooded areas like our forest. yellow ground colour with wide, black tiger stripes is easily recognized. 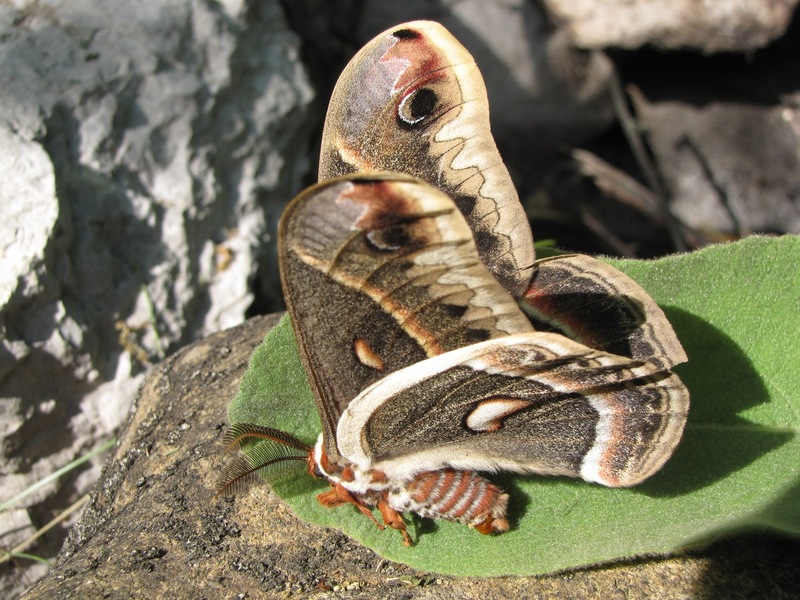 The Canadian Swallowtail body has layers of soft velvet-like hairs, always tempting me to want to pet it like a cat. prefers rich, moist deciduous woods. Since it refuses to cross open areas, forest fragmentation is the largest threat to this butterfly's survival. 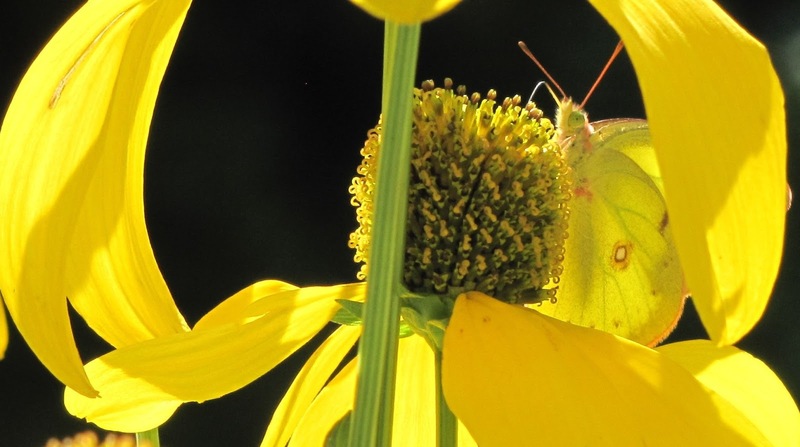 can barely see this Pink-edged Sulphur (colias interior) on this yellow cone flower! migration is one of the world’s great natural wonders and now considered an "endangered natural phenomenon." The scope of this migration resembles that of many bird species. While climate change appears to affect their arduous journey, efforts to correct human error in interrupting this natural migration is ongoing. This includes awareness campaigns, banning the use of certain pesticides, restoration of habitat along the way, replanting of milkweed, and the protection of Mexican breeding sanctuaries. 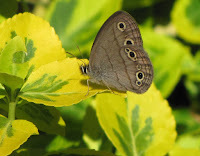 females, they also have a black spot on each hind wing that is made up of specialized scales, possibly used to emit pheromones to attract females. 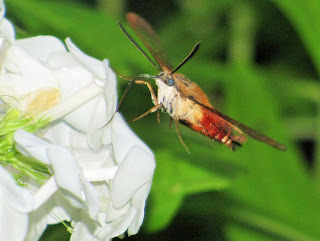 Moths are the night shift of the Earth's pollination industry. Long after bees and butterflies have gone home for the night, most moths are out there sipping on nectar, spreading pollen from plant to plant, or banging around your porch light looking to mate. male moth as indicated by its extra feathery antennae. To find a mate, the female emits pheromones and the male’s sensitive antennae can detect this female magic for more than a mile away! They mate in the early morning hours and can go all day. Unfortunately, this moth was dying, probably after a bout of vigorous mating, which at least half of the human population would agree, is a rather good way to go. Vader helmet. But once it lands – Bazinga - it reveals a metallic turquoise body, bright orange head with tufts of yellow hair and feathery antennae. This common and widespread critter proves once again that you can’t tell a book by its cover, nor a moth by its flutter! hummingbird does, rather than like a bee which lands on the flower itself. So these are but a few of my ethereal visitors that have kept me spell-bound in appreciation of the amazing designer of the natural world. In closing, I often think about the query on transformation by John Harricharan. 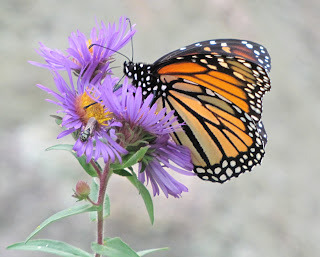 So when I die, it will be that I have been transformed from the caterpillar of earth to the butterfly of the universe." with a raccoon over a simple thing like securing your garbage pail? Or perhaps tried to thwart its intent to set up a den in one of your garden sheds or your attic? While this game of matching wits has caused humans inordinate amounts of stress – for the raccoon – it’s like going to pre-school, further developing their brain and manual dexterity. According to the Nature of Things by David Suzuki, biologists have noted that like humans and primates, the raccoon is unique among species for certain abilities. It seems that their rapidly developing intelligence has put them on a fast lane of evolution. This fast track has much to do with the fact that raccoons are adaptable to change and will eat almost anything, just like humans. They continue to develop tremendous manual dexterity – mainly by figuring out the puzzles we unwittingly give them as we batten down the hatches and barricade our food wastes. hands. The development of the thumb, an evolutionary marvel, took Nature about a million years to perfect. 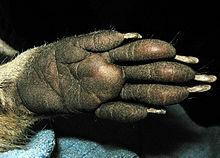 Have you had the chance to look closely at a raccoon’s hand sporting a very effective thumb-like digit? They have four of them. If you haven’t started already, this is where you begin to ponder. Ever wonder how a raccoon can fit into such small spaces? When fully grown, they are not exactly Tiny Tim. Well, if the little rascals didn’t up and evolve the ability to collapse their spine! 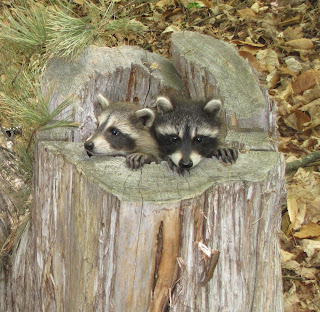 It’s one of the first things a mother raccoon teaches her kits when they go out exploring. Soon, the smallest opening in a shed door or roof eave can be easily accessed. So as not to be outdone, the other day I tried to collapse my spine to fit into the size 10 dress I use to wear before having a baby - but alas to no avail. about many useful shades of grey, with the stripes strategically melting into the shadows as they slip unnoticed through a forest night. They don’t hibernate, but with fat reserves built up over the summer, they can withstand a cold winter with little food. And that iconic robber mask designed perhaps to taunt us? Raccoons may not be capable of stealing our place on the ladder of evolution – but they can sure make us move over and share a rung or two. contains hundreds of sensory glands. It is fascinating to watch a young kit use a kneading-motion hand manoeuver, slowly sensing and identifying objects in their environment. Did you know that raccoon babies purr just like kittens when content? Raccoons are not endangered and with better food sources have a healthy population base in urban areas, albeit less so in the country. 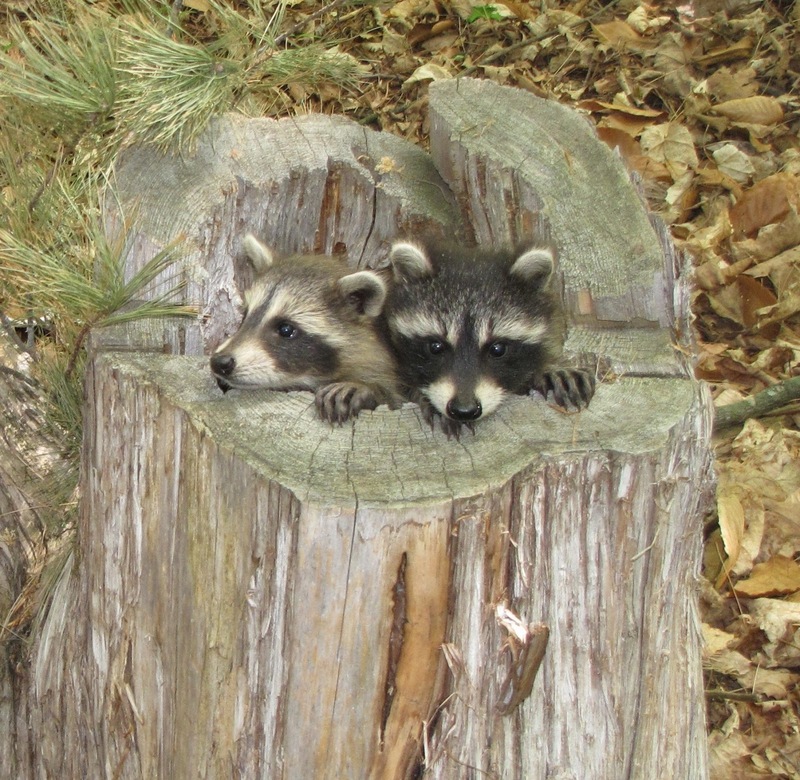 So why do we need Wildlife Rehabilitators for raccoons? Simply because as history has often illustrated with species after species, things can change, real fast. Humans kill many raccoons deliberately – seeing them as an unnecessary nuisance. Or many are killed on our increasing roadways. There are ongoing ‘culls’ in urban areas to reduce their numbers, while human civilization continually confiscates the natural habitat upon which they need to survive. Wildlife Rehabilitators are certified by provincial governments and authorized to care for wildlife in distress until they can be released back into the wild. In the spring, when many parent animals meet an untimely death, the wildlife centres are filled with baby animals, including many raccoon kits. Motivated by love and respect of the species they specialize in, Certified Wildlife Rehabilitators are the unsung heroes, volunteering their time to try and keep balance within a natural system so often decimated by thoughtless human acts of plunder. 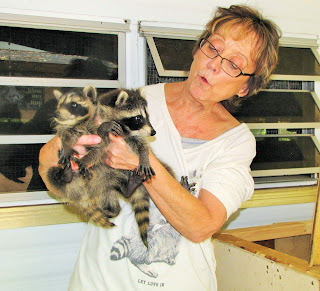 Lisa came home from work and found two raccoon babies on the side of the road – the mother had been killed. She took them to the Sandy Pines Wildlife Centre in Napanee, Ontario and met the founder, the formidable wildlife crusader Sue Meech. Lisa volunteered to feed them and learned more about the species. She proceeded to get her wildlife rehabilitation license from the Ontario Ministry of Natural Resources (MNR). 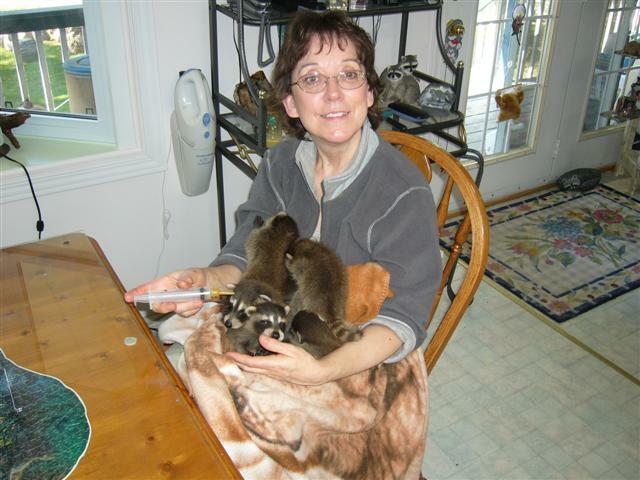 Each year, Lisa gets many abandoned raccoon babies to nurture – anywhere from 8 to 12 at a time. A visit to the Peterson home is like walking into a Dr. Doolittle movie set. As volunteers, improvisation is paramount, and her husband Laurie builds the most amazing cages. The first cage was an old truck cabin fixed up as a cage. Laurie then got an old trailer and renovated it. Famously called the ‘Coondo’ - it is a bee-hive of activity in the spring and summer. 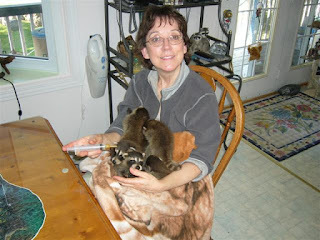 Raising baby raccoons is labour-intensive and Lisa is up for their 3:00am feeding for months on end. There is also extensive administrative work as MNR can inspect the "Coondo" at any time. Lisa must keep clear records on each baby, i.e. : recording it’s overall health, weight gain and treatment received. Before release, the raccoons are taken to a wildlife vet and given the appropriate shots for distemper and rabies. attending to a creature deemed valueless and a throw-away nuisance. ‘What you do to the least of them’ comes to mind. A word of caution. Raccoons do not make successful pets. In fact, in Canada it is illegal to do so. Raccoons, once matured, want to be with their own kind. While cute when young, the raccoon will morph into powerful adults that are extremely cunning, wild and solely-focussed on their survival and propagation.